In the past, if you were a small business in need of a loan, your options were limited. But it’s 2015. You’re no longer limited to the one local brick-and-mortar bank in your neighborhood. Today, your small business has big banks, regional banks, credit unions, alternative web lenders, and loan brokerages all competing for your business. 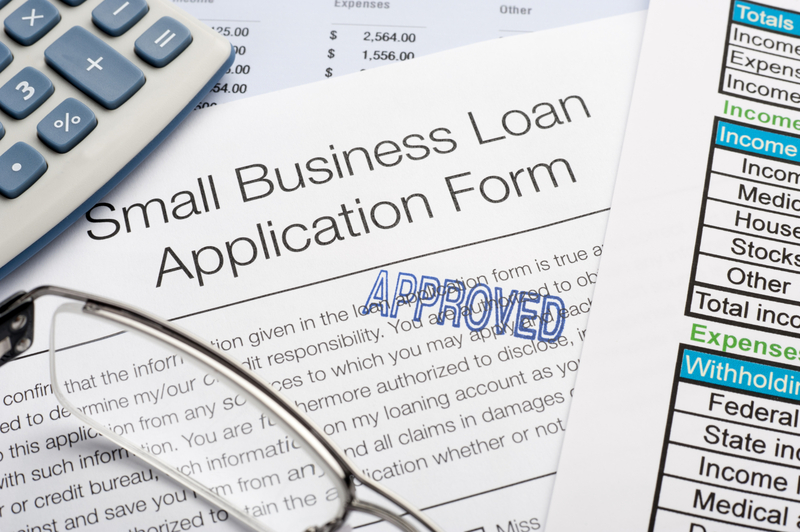 So which do you choose for your small business loan? It may depend on your individual situation. Today, we’ll take a look at one web-based lender, Kabbage, to see how it compares with traditional banking options. Kabbage bills itself as a lender to small businesses that are healthy, but may be too young to have established the track record necessary to get financing from traditional lenders. In the past this has been a familiar sticking point for small businesses seeking a loan from a traditional bank — you may have good sales and a healthy cash flow, but haven’t been in business long and don’t have sizeable collateral assets to guarantee your loan. So is Kabbage the answer for a healthy young business that needs cash upfront for merchandise or expenses? Kabbage differs from traditional loans in one important way: you’re really applying for a line of credit, so it’s not exactly the same as a traditional bank loan. Once approved, you can draw upon this line of credit as needed to cover expenses or grow your business. A line of credit isn’t necessarily a bad thing. In fact, having a line of credit to cover 3 or more months of operating expenses is just good business for many small businesses. But you may also be able to qualify for such a line of credit from your local bank. The amount you need to borrow may help you decide if Kabbage will meet your needs. For instance, if you need to secure a half-million dollar loan, Kabbage is out. Its micro-loans only provide a line of credit from a minimum of $1,000 up to a max of $100,000. Within your approved credit limit you can borrow any amount — as long as you can pay it back on time. So how much should you borrow? Definitely an amount you can comfortably pay back. The last thing you need is for your loan or line of credit to become a burden on your existing cash flow. Banks lend and offer credit when they have high confidence you’ll be able to make payments. If they won’t approve you for your loan amount, they may have concerns about your business plan that you’ll need to address. Your small business loan’s repayment terms are another important factor to consider. Kabbage loans come with a six-month repayment schedule. Depending on how much you borrow, you may have some sizeable payments ahead of you. Make sure to plan ahead so you can make your first payment — which is due only a few weeks after your loan comes through. If you have regular cash flow, this could still be a good deal. There’s no penalty for repaying your loan early and you’re only charged interest and fees for the months you have a remaining balance. But if you need different repayment terms for your business loan, you’ll want to stick with a traditional lender. You may have heard that a longer repayment period could mean paying a higher amount of interest, but that’s not necessarily the case. Many banks offer simple interest loans to businesses. And a longer repayment schedule of 12 months or more could put your business in a less stressful, more flexible position. Let’s talk about how Kabbage calculates interest because it’s rather unusual. For the first two months, interest is variable from 1%–13.5%. In months 3–6, you pay a flat rate of 1%. Remember, this interest is calculated based on the loan amount each month, not annualized over 12 months like bank loans. So it is much higher than it looks. According to Fundtastic, converting this to a standard APR gives an interest rate of 20.29% - 113.65% If you consider only the cost to borrow, Kabbage probably isn’t the cheapest option available. Late fees and other penalties can be a hassle with any loan. However, with Kabbage you’ll link your bank accounts and ecommerce seller accounts to complete your application and give Kabbage authorization to debit your outstanding debt from these sources. So, it’s best to borrow conservatively with Kabbage, and only if your business performs consistently. Some traditional banks could get you a better deal. 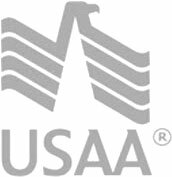 The business loan marketplace Business Lenders of America offers a cheaper option, a simple interest loan with an APR as low as 12.99% - from a traditional lending institution. Many small businesses turn to Kabbage after being turned down for a loan by a traditional bank. Kabbage looks at your credit score, but it also looks at your bank balances and cash flow patterns to determine your creditworthiness. Good numbers here are often enough to gain access to the necessary line of credit. In the past, banks have based the decision to lend to you on a few rather traditional factors: your credit score, time in business, business plan, etc. With these criteria, smaller or newer businesses found it hard to establish creditworthiness, and while business may be booming, they lacked a long-term track record. But times are changing for traditional banks as well. In some cases, it’s possible to qualify for the loan you need with a credit score higher than 620 and a healthy cash flow. Many consumers have become used to instant customer service. This need for speed often holds true for business owners seeking a small business loan, as well. Kabbage jumped on this trend when they entered the market, promising access to a line of credit from $1,000 to $100,000 in about 7 minutes. One reason Kabbage can move so fast is their decision to automate the assessment of your financials. While tech startups like Kabbage may have gotten a head start, they’re not alone when it comes to speedy loan approval. Traditional banks have also moved to automate their assessment of your creditworthiness. Qualifying for a traditional loan no longer takes several days, weeks, or months. Online Lenders of America also claims a fast turnaround, with funding from a traditional lender released in as little as one business day. As the New York Times noted last year, business banking is expanding in new directions. Scrappy young businesses are looking to new sources to get the loans and financing they need to grow and thrive. So if you’re a small business with a healthy and regular cash flow that has an immediate need for a loan, Kabbage could be a good option for you. But it’s by far not your only option and you may find better deals elsewhere. Businesses that need capital tend to have existing cash flow issues. That problem compounded with Kabbage’s 6-month repayment schedule and the added pressure on cash flow has led some borrowers to offer harsh criticism of the company’s policies. A loan or line of credit has the potential to take your business to the next level, but it’s important to be cautious. If you repeatedly get turned down for a loan, your bank may be trying to tell you something. If you do decide to go with an alternative lender, make sure you get all the facts and take the time to make a well-informed decision. Your business will thank you for it.